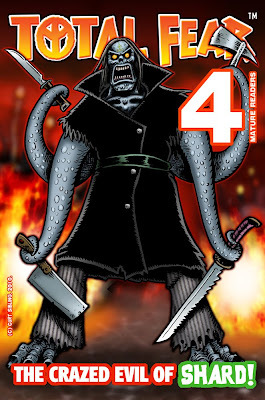 Total Fear 5 and King Evil 2 will be on sale at the 2012 Glasgow Comic Con on 30th June - 1st July this year. The table shall be shared with ChaosAlexander with "Mimi and Auu" comic, so expect (as Craig Collins would say) some pure "Aunt Mayhem"! Attending the GCC will be other amazing underground people, like Rob Miller and Adam Smith (Braw Books and Khaki Shorts), the legendary Mr Dave Alexander (MacBam Bros), and Mr Eddie Murphy (not the actor!) publisher of "Rose Black" and "Freedom Collective"... 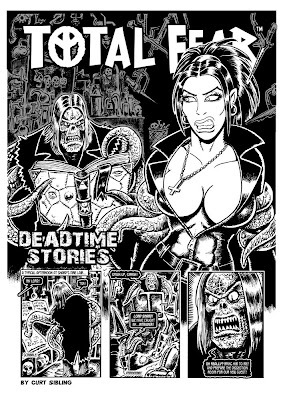 The inker of both those excellent comics was none other than Mr Colin Barr, who inked the cover of Total Fear 5! It's been quite a few months since I updated the TF blog, but here's an update on what has been going on! Due to "King Evil 2" comic being produced, and the pencil work on "McReptile" comic, Total Fear has been on the back burner. Has there been zero Total Fear activity? Not so! 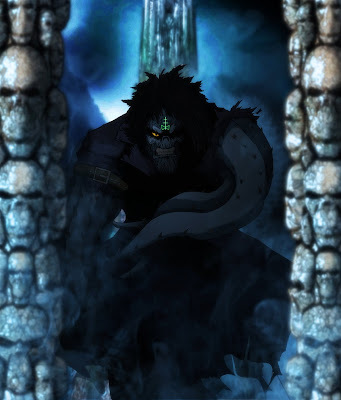 Finally, "Total Fear" will return sometime this year with a new series of tales - Featuring Duke, Zooma, Coyo, Lucy and a host of other characters in an adventure to find the "Temple of Divine Ascension"...Stay tuned! Total Fear 5 Available Now! At long last, TF5 is complete! Mr Jamie Grant! The best looking Total Fear ever! I got the latest edition of Total Fear onto lulu this morning. up by my working on other comics along the way, etc. who meets the "Phantom Wrestler", a new character! I heartily recommend you check it out if possible. I sell the zine at cover price, no profits, just comics! 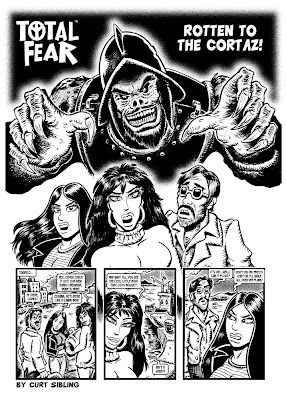 Artwork Previews From Total Fear 5! previews of interior artwork from the comic...Enjoy! Below: The opening page of "Welcome, Princess of Heck". Below: The first page from "No Wrestle for the Wicked". Below: The opening page from "The Cosmic Cosplayers". Stay tuned! The latest insanity will be here soon! Total Fear Appearing in VIOLENT Number 18! for a recent Total Fear tale "Scuffle of the Titans"...! showing that the underground has plenty of talent. It's downloadable as a PDF, and worth the bandwidth! Total Fear madness in Wasted Issue 5! TF gods, Baphomet and Shabash in "Scuffle of the Titans". strips from earlier epochs...Some coloured by experts! Go to: http://badpressltd.com/index.php for more details! Check your newsagent and see if they stock "Wasted" comic! Total Fear Collection Four OUT NOW! 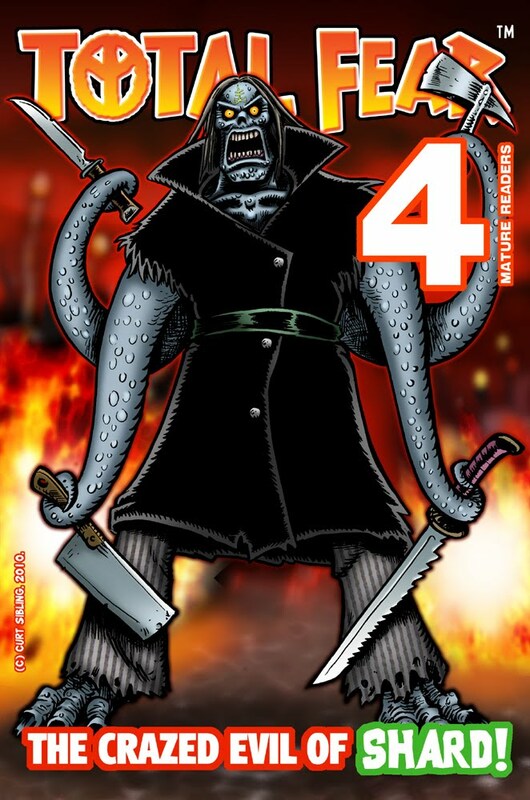 After a seeming eternity, Total Fear's 4th comic is now unleashed like an enraged squid! Featuring new characters and an expanded size, this is the most radical issue yet! 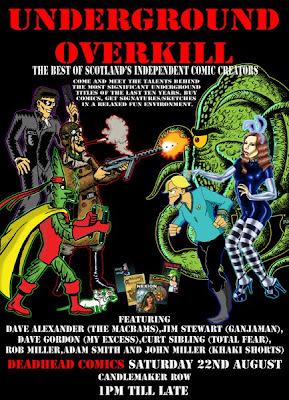 Great stories, and special guest artwork from some of Scotland's finest underground comics creators, TF4 is a unique breed of horror, humour and madness! Check out Lulu for more details! incredible image of Total Fear's goddess, Baphomet. We are delighted to showcase this awesome work! Please check out Alex's brilliant creations at DevArt! get a crash course in extra-dimensional mysticism! 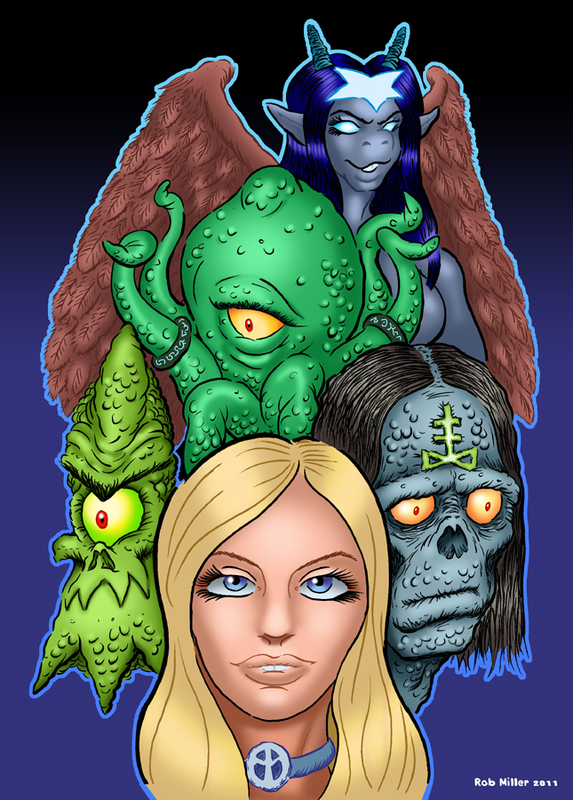 We want to thank Andy for this killer art! Be sure to check out his page on DeviantArt! Collection Four Coming In Spring 2010! well be the best looking issue yet. Here's hoping you all agree! 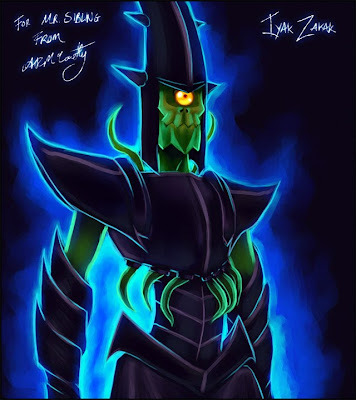 Hot from the dimensional gateways! this collected compendium of chaos! upgraded versions of many comic strips. many other products our Lulu page! Total Fear Collection Three Reviewed! "Am I sad to really like this cover? Very nicely done. As this is the Global Meltdown Special what can one expect? Well,it opens with “Loa The Tone” and that first panel with Baron Samedi [oh go on,google the name! ], looks great. And a nice ending, but the art does it for me - And good use of grey tone. “Rotten To The Cortaz” is just as good and I think the last time I enjoyed humorous horror tales had to be in 1987 with Steve Lines’ Creepy Stories zines. 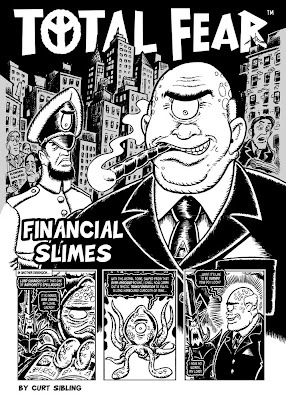 And as for the current economic “downturn”, I think it adequately explained by “Financial Slimes”! Zander provides “Armageddon On Campus” and Iyak Zakak returns and asks that very important question on all our minds: ”Why are you sorcerors always naked?” And if you are a Star Trek [The Original Series] fan then you’ll love Tiberius McGregor’s take on the genre in “Total Trek”! There is,of course, ”Convention-Hall Warfare” by Sibling - Ah, some very unusual fan-boy/thing geeks. All rounded off by a great illo crediting Zander and McGregor, who I had no idea were actually Count Zander and Lord Tiberius McGregor. Wow. I would wax lyrical but the art is nice, the quality of printing is good and, natch,there’s that cover [a t-shirt design if ever there was one]. Summing up: BUYBUYBUYBUYBUYBUYBUY, oh, and, BUY!" Once again, our thanks to Terry and CBO! Get it now while there is still an economy! 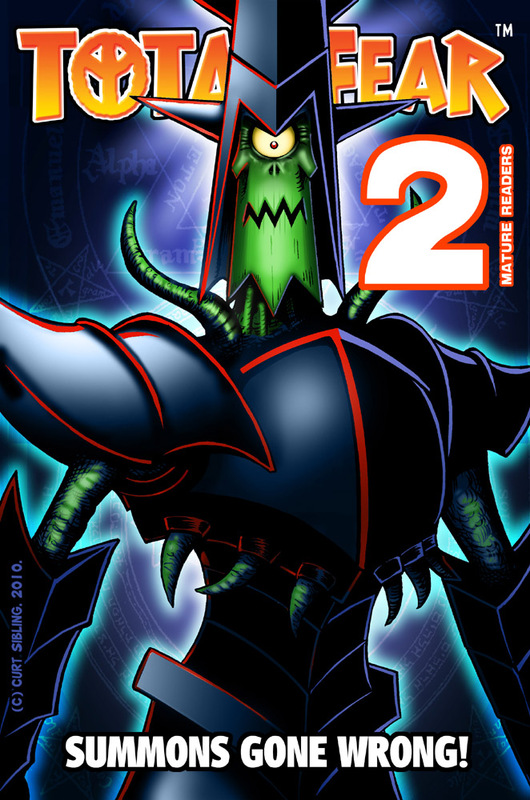 American-sized format, with a full-colour jacket. Glasgow, and from Deadhead Comics in Edinburgh. 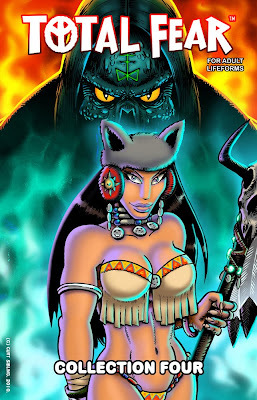 For Total Fear and our other comics, click here! 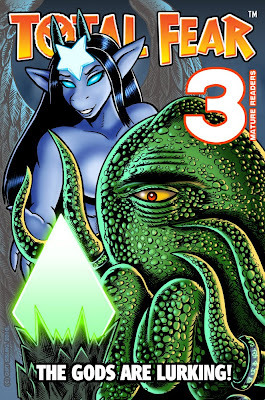 Is now on Lulu.com - "Well, bless my tentacles!" 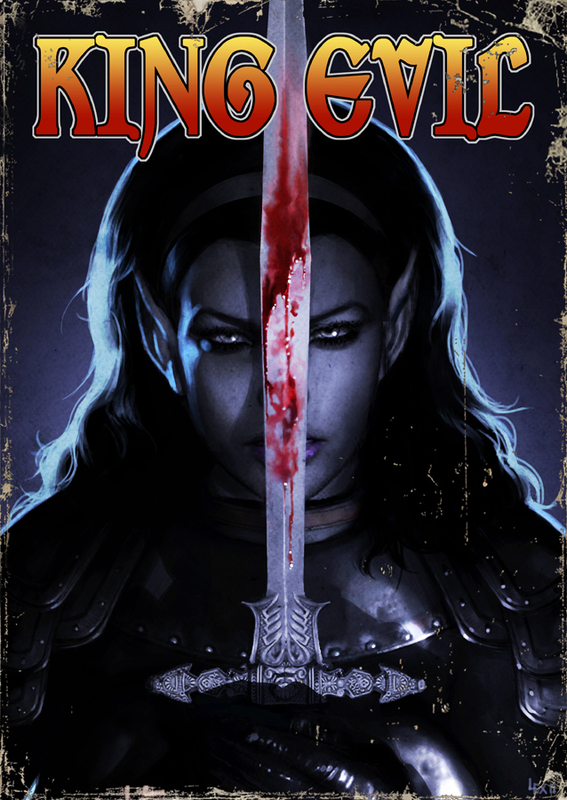 in American-sized format, with a full-colour jacket. They can be downloaded too, but hardcopy rocks! 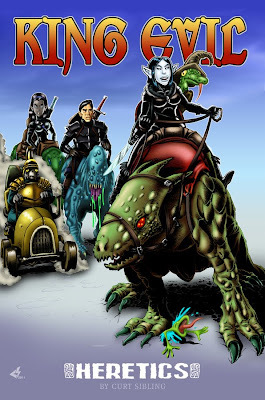 Support underground comics and grab a copy!